Reading and Writing are very valuable ways for self-improvement. 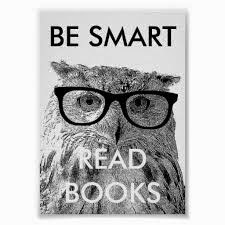 The importance and advantages of reading cannot be over-emphasized. People that read have the opportunity to learn new things everyday and are mostly ahead in their career. Good writing and analytical skills are some of those skills required of a development professional. If you do have interest in the development sector, please ensure to take out time to read about projects, success stories, reports and news happening in the sector with main focus on the development issue you are more passionate about. For example, Education, Health, Governance, Secure Livelihoods sectors, etc. It is important you know and understand how to report on activities. Report writing is part of the job so, do not assume that you will write less if in the development sector, in case you are the type that does not enjoy writing. At whatever level you are, if you do not have the habit of reading, do make it a habit, because it is a good one to have. It will also help improve your writing skills. Habits are not always negative, this is one of those positive habits a person should be happy to develop. Happy reading!